Let’s talk boulders, bro. Because if you haven’t got ‘em blasting through your sleeves on the daily your shoulder game is whack. Hand in your bro card, burn that stringer and accept your place as a non-alpha in the pack. Your deltoids are key players in any masculine physique – making you look bigger, stronger, and dominant to all challengers. Master these five moves to grow yours today. What are the deltoid muscles? What are the 5 best exercises to work the deltoids? Every gym has that mean looking m*tha that no one messes with. Something about him tells you he was raised by mountain gorilla’s and you’re pretty sure he bends barbells in half when angry. See those big *ss cannon balls strapped to the top of his arms? They’re his face melting deltoids, bro. We’ve all got ‘em, but only the brave few man enough to work hard can be proud of theirs. Whilst it’s possible to build developed delts purely by day-to-day lifting alone, it takes a smarter approach to hit the entire muscle. You’ve got to go in with a multi-attack melee to master this three-headed monster. Essentially, the shoulder comprises of three deltoid heads. Each separate one plays a major role in different arm functions, allowing your shoulder joint to enjoy the substantially wide range of motion it does. In order to train each of these muscles, you can’t take a one-direction-fits-all approach. You’ve gotta mix it up in the weight room bro – switching between different directions, rep-ranges, and movements to make sure you snipe all the spots. Before you head out onto the gym floor to shock your shoulders into strength and hypertrophy submission, we’ve got to talk fiber composition. Your deltoids have around a 50/50 split. That means there’s an almost equal amount of both fast-twitch and slow-twitch muscle fibers. Fast twitch fibers, aka type II, are large, have amazing growth potential, and are awesome at summoning force quickly. As their name suggests they can contract extremely fast, meaning they’re well suited for explosive movements like sprinting, jumping and throwing. Slow twitch fibers, aka type I, are much smaller by comparison. They also can’t contract quite as quickly as type II, nor can they generate as much force. However, these guys don’t fatigue as fast, making them much better suited to endurance type activities. Therefore, a complete and effective shoulder workout must use multiple rep ranges. Only by changing things up like this can you ensure both fiber types become bigger, better, faster and stronger. Hit up this ‘Face Melting Delts: Ultimate Shoulder Workout Guide’ from our main man Les to see how it works. Disclaimer: Bro, as Les mentions in his ‘Ultimate Shoulder Workout Guide’ there’s no single best shoulder exercise. Sorry, dudes, but the science just won’t allow it. The shoulder is just too complex. Because of the multi-functional movement of the joint you’ve gotta hit the spot with variety. That means finding a way to light up each of the three heads, building complete boulders in the process. Okay, we know we said there’s no single best shoulder exercise but standing military presses are the bomb. They sit right at the top of the EMG scale for activating the front delts and they’re sick for stacking your traps too. Hitting them with a barbell means you’ll have greater stability than dumbbells, allowing you to ultimately press more weight. If you’re looking to build maximum strength this bad boy is the way to go – so stick to a lower rep range with heavier weight. Plus, as you’re standing, there’s an additional core building element too. You’re effectively fighting gravity to maintain stability and support your spine one micro-movement at a time. This kind of stability training is awesome for building functional fitness, Helping prepare you for anything the gym or outside world throws at you, whilst building a stronger core to prevent lower back pain. Sticking with our standing shoulder press theme we’re calling in the dumbbells this time. Because while you might not be able to push as much weight as you could a barbell, there are many other benefits to be had. First up, you’ll be able to independently work both sides better. Your stronger shoulder can pick up the slack in the barbell press, whereas your weaker side has nowhere to hide with dumbbells. Yeah, it might kick your ego in the teeth. 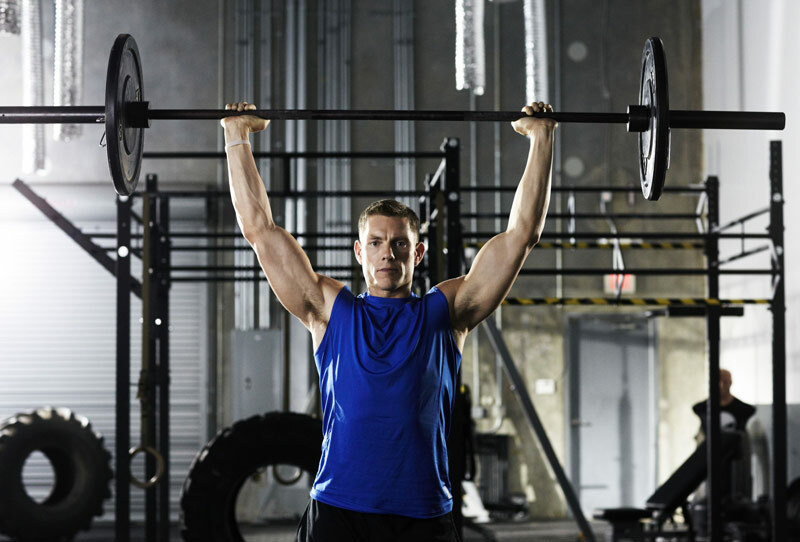 However, this variation will help you craft a well-balanced physique by warding off muscular imbalances. As the name suggests, this sucker is savage for smashing the lateral delts. The main emphasis of the movement is on arm abduction, which is primarily controlled by the medial head. Your rear delts will also experience a fair bit of activation too – winning. Bro, we’ll be real with you, lat raises are a real burner. You’ll not be able to muster the muscle to throw around serious weight and the lactic acid will surge like f**k.
Shoot for a hypertrophy range with the lateral raise (10-15) and you’ll see what we mean. But trust us bro, it’ll all be worth it for those armor-plates topping your triceps. 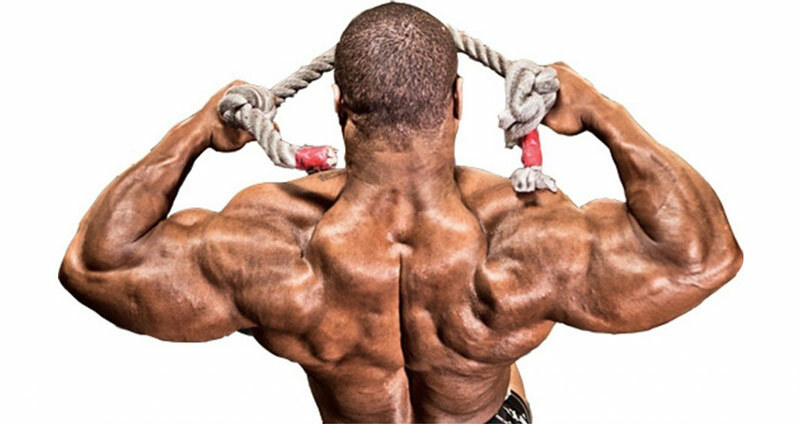 Keep a tight core, stay away from cheat reps, and live forever with the shoulders of giants. Rather than hit the reverse flye machine, get face-down and dirty on the bench, bro. We’re freestyling with free weights for this rear delt move. Free weights offer much more chance to work your stabilizing muscles. Whereas machines guide you through a fixed ROM, free weights always require you to own your sh*t and keep everything in alignment. Ultimately, this helps builder bulletproof shoulders set for real life. You know, an unforgiving place where metal bars can’t save your unstable *ss. Not only that, but free weights add in the ability to change up hand positioning. Ideally, you want to perform this prone movement with a neutral grip. So, rather than keeping both palms pointing down (pronated) ensure they stay facing towards each other. 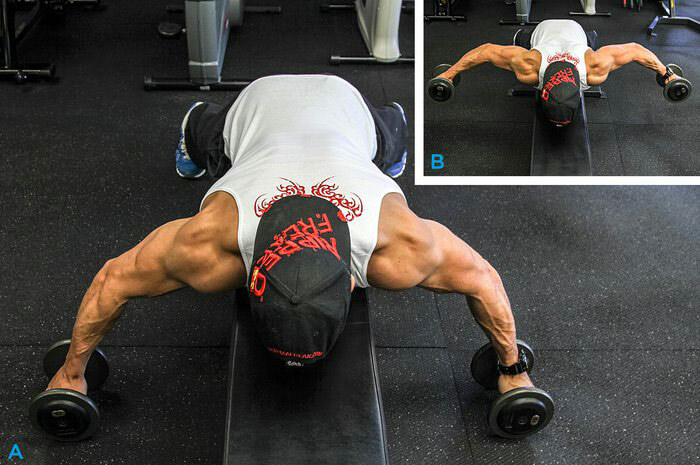 Studies have shown this style of hand positioning to be superior for rear delt activation . Bro, it’s up to you if you do this bent over back of the shoulder blazer seated or standing. Hell, hit these up on your knees if you want to. All we ask is that you never let the alpha-side down by allowing your posterior delts to fall behind those up front. Brace you core, keep a tight straight back and work both arms at the same time to stop any twisting (cheating) in the torso. Going unilateral is a quick way to start gathering momentum during the lift, which won’t keep things in line with the real AF SpotMeBro code. To really dig deep into the rear delts imagine you’re tipping something out of the dumbbell at the top of the movement. This internal rotation helps to recruit a greater amount of muscle fibers in the back shoulder, ultimately leading to more muscle damage. Yup – extra gains for you brah. Crafting face melting delts is an art reserved purely for the alpha-male. It takes time, dedication, and grit to grind through different exercises to hit every head. 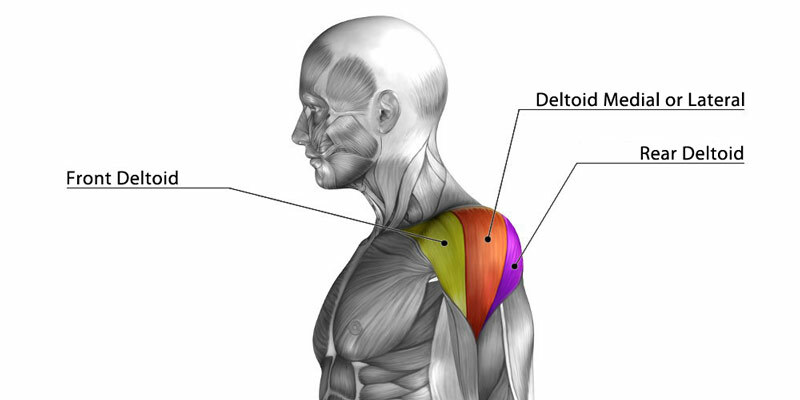 Because the deltoid consists of three independent heads, it’s important to vary up your movements. Aim to create well-balanced shoulders by giving each one an opportunity to work, concentrating on exploiting the shoulders full ROM in every workout. Finally, remember that not all rep-ranges are created equal for deltoid training. Mix things up in relation to your goals and which specific shoulder portion you’re trying to hit. After all, you’re looking to tame two three-headed beasts here, bro. Remain versatile in your approach and give ‘em hell by attacking from all angles. See you in the iron house! Paoli A, et al. Influence of Different Ranges of Motion on Selective Recruitment of Shoulder Muscles in the Sitting Military Press: An Electromyographic Study. J Strength Cond Res. 2010. Schoenfeld B,et al. Effect of Hand Position on EMG Activity of the Posterior Shoulder Musculature During a Horizontal Abduction Exercise.J Strength Cond Res. 2013.